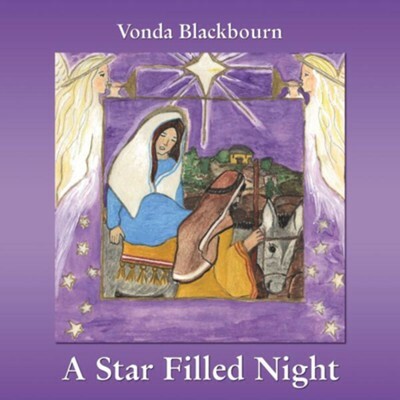 A Star Filled Night is the story of the birth of Jesus written and illustrated by Vonda Blackbourn. The colorful illustrations and rhythmic verse are designed to appeal to children from age two to nine and their parents. Inspired by the text of the second chapter of the gospel of Luke, the shepherds learn of Jesuss birth from a throng of angels. The choir of angels present the good news of his birth as a song. This cheerful retelling of the first Christmas is designed to be a shared reading experience for families. Vonda Blackbourn is a wife, mother and full time grandmother. She is a native Mississippian and attended Mississippi University for Women. While there she obtained a degree in Elementary Education. She has a lifelong love of childrens literature. This is the first book she has written and illustrated. I'm the author/artist and I want to review A Star Filled Night - eBook.